OptinMonster is a great product, no doubt about it. But people tend to search for “OptinMonster Alternatives” during renewals. Yes, the renewals cost a bit higher when compared to other plugins in the market. If you're in the same scenario, you might see hundreds of blogs recommending some top 10 to be the best alternatives. In fact, I too wrote a post comprising 10 plugins to be alternative to OptinMonster. There are a lot more similar products but most of them seem to be missing the most features of OptinMonster, my blog post is misleading. Then, I spent more than 32 hours analyzing the web, reading hundreds of review posts and found only one plugin to be the closest contender. The plugin is Thrive Leads. Honestly, I recommend you not to read further, check the official site, analyze yourself how good Compared to OptinMonster. You've nothing to lose when Thrive Leads costs just $67 with lifetime updates super-powered by 30 days full refund money back guarantee and save between $160 – $1121 moving away From OptinMonster. Here are the ten of OptinMonster Alternatives to get started. This is one of the best I ever used for Email marketing and developed by Thrive Themes. If you want to use this plugin for one website, you will have to pay $67 for lifetime which is way cheaper than OptinMonster which costs $228 per year. Once you start using it, you can feel, Thrive Leads is something beyond list building. The advanced targeting, A/B testing, actionable reports & testing makes them stand out of the crowd. 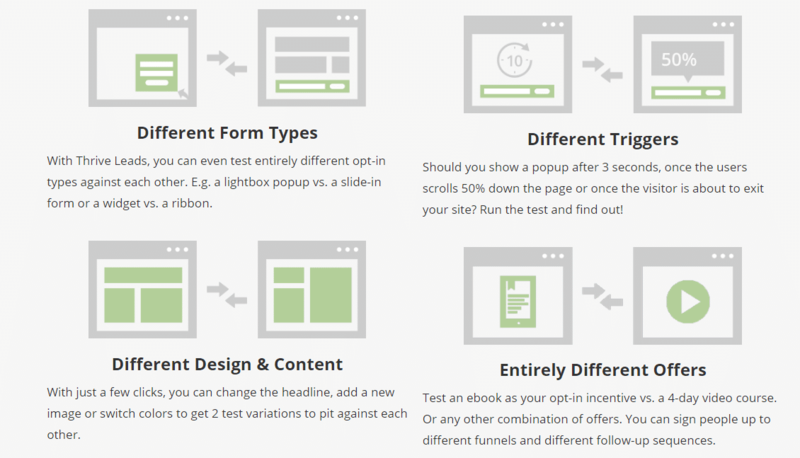 You can build nearly 10 types of form right from ribbon form to multiple forms per pages. This is one of the latest plugin developed by Elegant Themes. Elegant Themes develop products in elegant style and thus there are nearly 400,000 users for their products. You can easily configure Bloom with Email marketing services like MailChimp and Convertkit. They have 6 types of forms that you can place at different places on the website and engage your audience. Bloom is great that comes with a package of Elegant Themes where you'll get access to all the plugins, themes, and Divi Builders. Bloom offers a huge number of templates with visually appealing design to catch your visitors eyes. The display setting is easy and thus you can customize the templates, behavior, and animations as you like. In order to get this product, you will have to join Elegant themes membership which will cost you $89 per year. The success of Elegant Themes really depends on its pricing strategy. 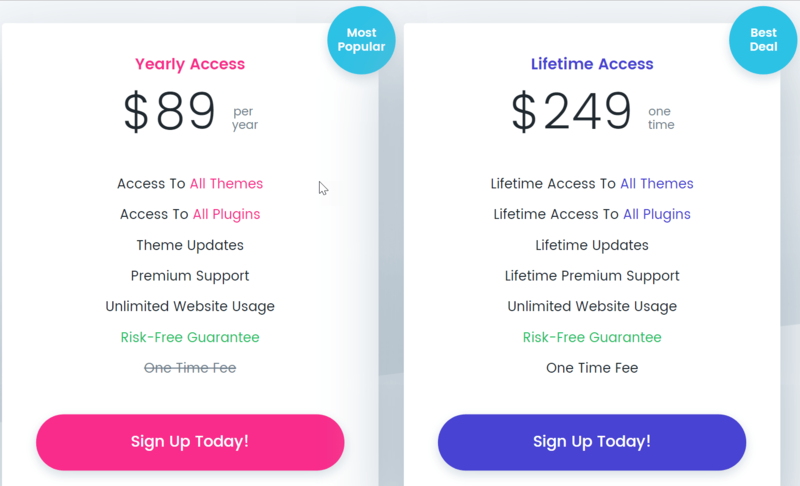 There are two simple pricing, get all Themes & plugins for $89/ year or pay $249 one time payment, enjoy all their Themes and plugins for the lifetime, yep $249 is a one-time fee. The Bloom discount comes as a part of Elegant Themes Coupon and enjoy 20% OFF. Currently, Elegant Themes has 88 WordPress Themes and Three Bloom, Monarch, and their flagship Divi Builder. This is yet another plugin that will help in boosting your Email subscribers. This provides you all the features that you wanted to have on your website. WP subscribe pro can be yours in just $29 per year. This plugin is developed by MyThemeShop team who is also known for developing the fast themes for WordPress. This plugin also supports MailChimp, Aweber and much other mail marking services. Sumo tools can be widely seen in many sites. 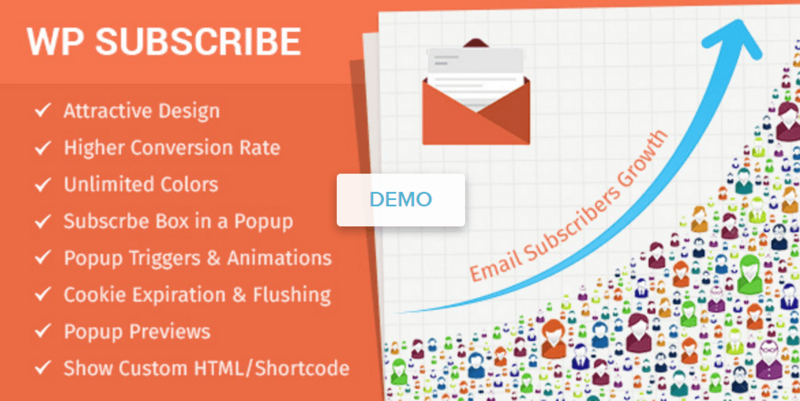 This plugin offers a plethora of tools which will help grow your Email subscribers. The best thing is that it’s free and the bad thing you need to upgrade for Sumo Pro plan which costs $29/month to enjoy even integrations with any Email service providers like MailChimp and Aweber. 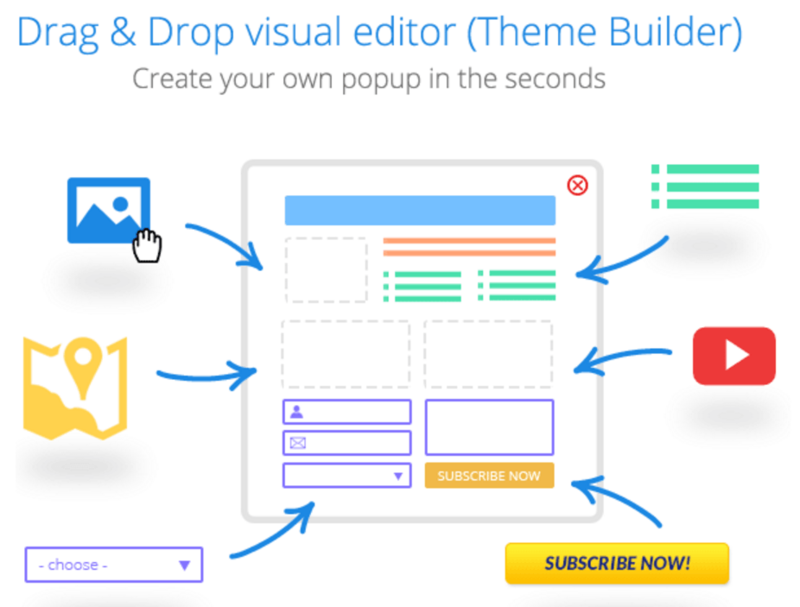 Ninja popup is another affordable product that will boost the number of Email subscriber. This is a premium plugin and thus you will get it from Envato Market. It’s a user-friendly popup. This plugin also allows social sharing, Opt-in bars, and inline options too which will engage the readers while reading your post. You can make it yours by paying just $21 which also includes support for 6 months and you can extend this support to 12 months by paying additional fees of $21. This is one of the best plugins for the people who are looking for easy to use and the one that doesn’t no need many efforts to set up. This plugin is designed in such a way that even a beginner can successfully set it up and start using. You can easily integrate this with various Email marketing services like MailChimp, Hubspot, Active Campaign, MyEmma, iContact, sendy, CleverReach, Convertkit. 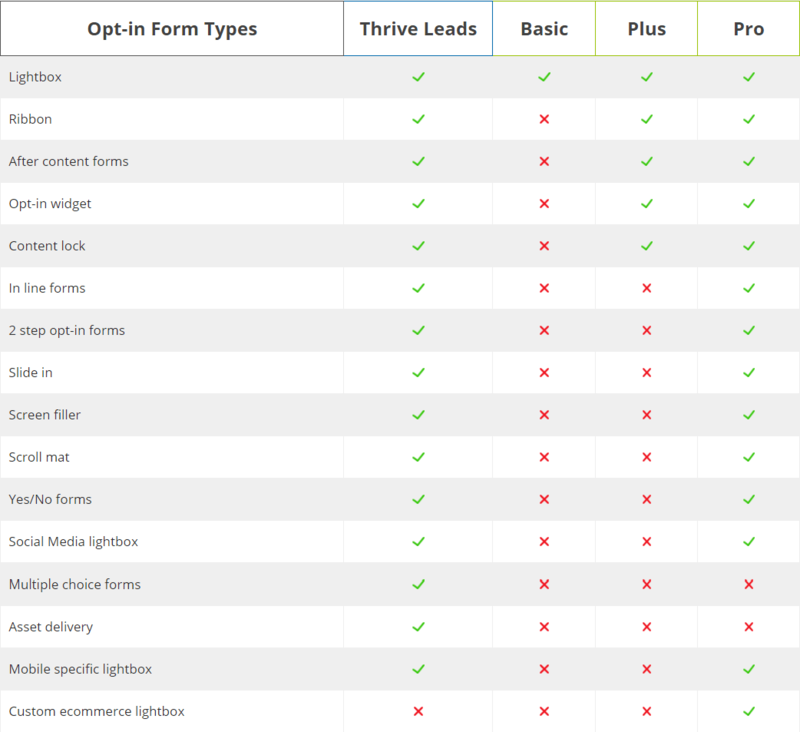 You can also check this comparison between Thrive Leads Vs ConvertPro to learn more about the two products. It’s a free plugin that you have to buy once and you can use it for lifelong. It offers 11 premium add-ons and if you all of them to be yours, you will have to pay an amount of $147 per year. This plugin is available from CodeCanyon and offers unique layered animated popups with 200+ templates to use. 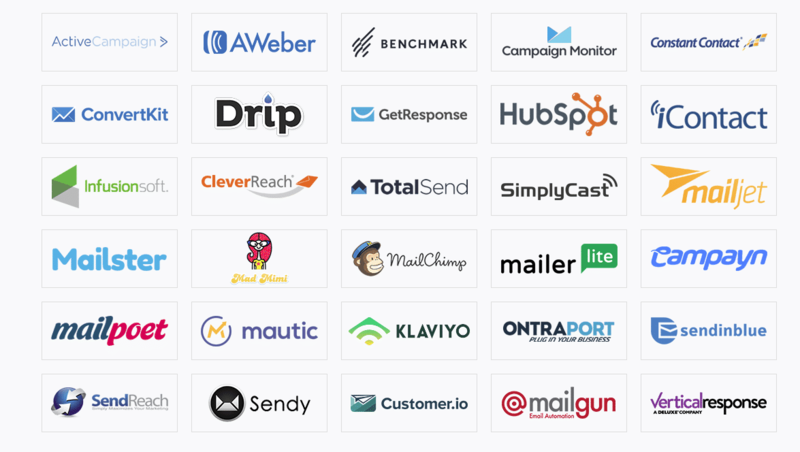 You can connect with 70 email marketing providers and start building your email list. 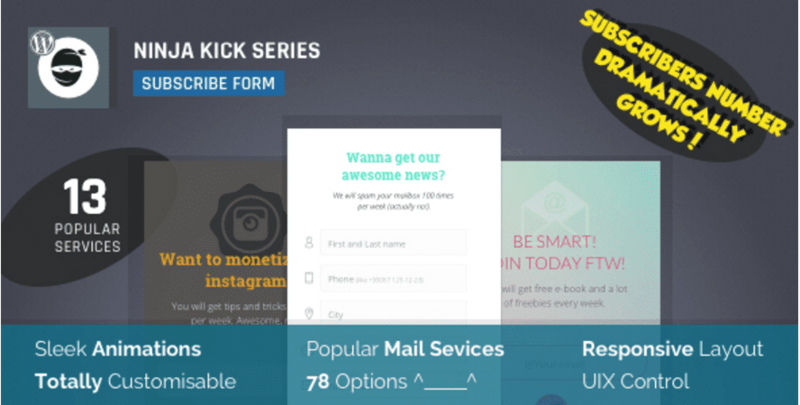 Ninja kick is a premium list building plugin with totally customizable animation effects, responsive layout with connection over 75+ Email Marketing companies makes them be in this list of OptinMonster alternatives. 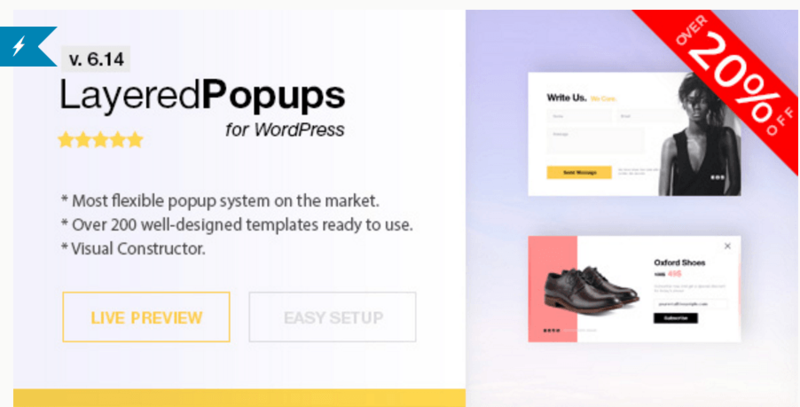 This plugin provides a popup form where people can enter their Email ID and subscribe. You can show the content in many ways and a decent plugin for bloggers. Considering you're planning to get Thrive Leads, I first let you know the things you might miss with Leads but present with OptinMonster. Note: OptinMonster is mentioned as OM and Thrive Leads is mentioned as TL in some part of the post. 1. Campaign Scheduling – OptinMonster has this feature to schedule your campaigns for the future. 2. Onsite Retargeting – Supports most features like exit-intent popups, page level targeting, A/B testing of forms, and behavioral based popups. The only missing features at TL are Dynamic text-based welcome messages. 3. Targeting by referral source – If you love to turn-off forms for visitors coming from particular sources either Google traffic or social media or through any custom sources, sorry Thrive Leads doesn't have this feature while writing this OptinMonster Alternatives post. 4. Real-time behavior automation – If someone from your email list visits your site, you can show the custom offers or recommend the other similar products and this features is especially useful if you're running a small business or an eCommerce site. 5. Other Features – Few notable features missing with Thrive Leads but exist with OptinMonster are adblock detection, custom ecommerce lightbox, sound effects in forms, geo-location targeting, sub-accounts for clients, recovering deleted campaigns. I consider the below things are essential for someone investing their money on products. Let's see what TL does better than OptinMonster. If you get an account with a single site license costs $67, you don't have any limits of page views and a number of campaigns created. OptinMonster Basic charges $228 per year yet puts a huge limit of just 5000 page views a month and only three campaigns a month. A/B testing is essential for any type of websites because only when you run A/B test you can find which type of form converts well, which type of offers people respond etc. This is something I think OptinMonster overcharges than most other lead generation plugins. For example, Aweber, Convertkit, Drip, and GetResponse are some of the trending email marketing tools most people using in 2019. If you're planning to get started with the Basic plan, these integrations won't be available. You need to choose Plus plan for advanced integration and here is the complete info on integrations. TL never puts any limit on Email integration. Customer support is not best, sometimes it takes a few hours to get a response for tickets but yet they never put any limits and every member gets equal customer support. However, OptinMonster puts limitations on support based on the plan. The starter plan gets only limited support and plus plan priced $39/month gets basic support. If you're going with Pro plan cost $59/month, you'll be getting priority support. You can get a TL for $67 and enjoy lifetime updates, you'll be getting lifetime updates to bugs, access to latest features without any second charges. TL puts a small fee from second year onwards only if you need to access support and its not mandatory. OptinMonster users can get 14 days 100% money back guarantee while you can enjoy 30 days money back guarantee with no questions asked further. Technically speaking, Thrive Leads is the only better OptinMonster alternative, both in terms of pricing and performance. Do you think some plugins needed to be added in our list? Make a comment, we are happy to add your recommendations for OptinMonster Alternatives. Do all optin plugins have a lead magnet feature? I want to offer a download in exchange for a guest’s email. Yes. The best options are Thrive Leads, WP Subscriber ﻿Pro and Bloom. Currently using Bloom. Actually, all products from ET are really cool. Anyone can easily setup optin form with bloom. Vey simple steps and easy to use! And, current m using it. Yes, it too use Bloom for one of my niche site for a difference. But when it comes to building complex multi level optin forms, Thrive Leads is the leader. I think ConvertPro is one of the cheapest option among them and they are truly optinmonster alternative. I was really enjoyed to read this topic and I Got some good idea by reading this topic. Thank you for your positive post.